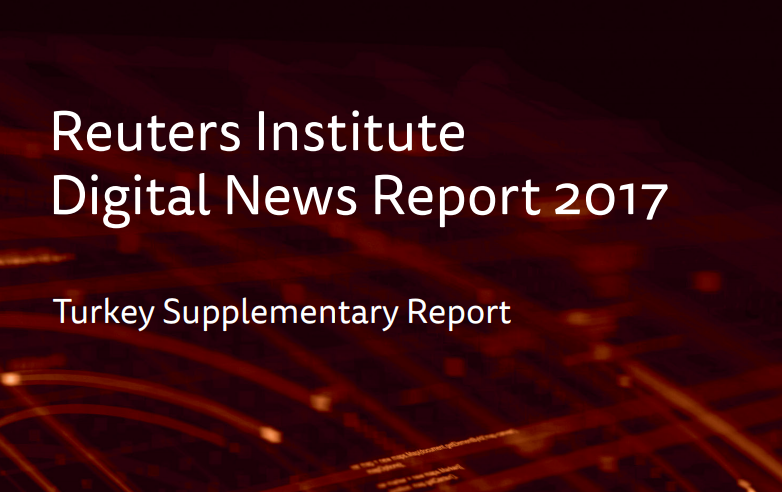 The Turkey supplementary report of the Digital News Report 2017 provides a more detailed examination of Turkish data on how people get news and use media. Based on data from the 2017 Digital News Report survey, this report shows that the figures for overall trust and distrust in Turkish news media are remarkably similar. This is an indicator of a very polarised society and news media in the country. Despite the strong use of online media for news, social media has the highest level of distrust in news overall. It stands out that the use of Facebook and Twitter for news has fallen sharply whereas closed messaging services like WhatsApp as a way of sharing news have remarkably risen. All these may be linked to fears of government surveillance. The report finds that interest in news is very strong in Turkey but news avoidance is also very high as Turkey is at the top of the list for avoiding news across the 36 markets in the survey. While TV is the first main source of news, online media has remarkably increased in two years, and the gap between TV and online media significantly decreased in this period. However, the most used online news sites continue to be those provided by traditional media brands using content repackaged from print, television or news agencies.